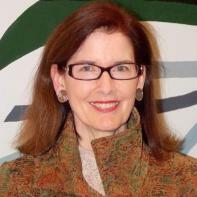 Nancy Ford Dugan lives in New York City and previously resided in Michigan, Ohio and Washington, DC. She has a Psychology degree, extensive musical training, a corporate job and an errant tennis forehand. Recently nominated for a Pushcart Prize, her short stories have appeared in over 20 publications, including Blue Lake Review, Cimarron Review, Passages North, The Minnesota Review, The Alembic, Euphony, Lullwater Review, Battered Suitcase, and The MacGuffin. He drifts in and out. Beth and their daughter Erin are standing together at the bottom of his bed. They are talking to each other in a civil tone for once. He can’t quite make out the words. Beth looks red-faced, bloated, wild-eyed, full of beans. Her blood pressure is no doubt soaring. He hears her bark every once in a while at the nurses when she thinks he needs something, anything, even attention. Beth has always given him attention. It must drive her crazy everyone else does not see a reason to give him their full attention, as she has for over thirty years. When they met in college, she was a slip of a girl with more nervous energy and smarts than he had. He senses her body getting larger and bursting out of her clothes, as he slips in and out of his haze from the pain meds and shrinks to the size she was when they met, the size Erin is now. Erin looks as worried as her mother, but tries to smile brightly when she thinks he stirs. “Hi, Dad!” She says cheerily, too loudly; she was always too loud, grown-ups (particularly her mother), sternly requesting she pipe down. She has a lot to say and wants to be heard over her older, bigger, blonder, better-looking, better loved by their mother, brothers. Erin amuses him, always has. She tries so hard, has his edgy wit, his bushy eyebrows (hers now plucked), his granite jaw. She’s all skin and bones as he is now, everything jutting out of her face, announcing her presence, too angular. She won’t keep quiet but is a softie more than her mother realizes. Or does Beth realize, he often wonders? In which case, her nonstop riding of Erin seems even crueler. He won’t live to see Erin’s jaw soften, her fingers thicken, her career blossom, her opinions grow less extreme. He won’t meet her kids, if she has any, or see Beth depend on her and grow to appreciate her slightly more than she does now. He won’t be at Beth’s side when she’s in his condition, drifting in and out, but Erin will be, patting Beth’s hand and reassuring her in a surprisingly soothing, mellow-voiced tone. By then, Erin will have convinced herself that she no longer needs Beth’s approval; but since she will give up her career to care for her, it just won’t be true. They both love him. He knows it. His sons love him too, admire him, but they just don’t have the stomach to watch him die. They are all fading from view now. He hears Beth say something to Erin about his baby blues. “Aren’t your father’s eyes the nicest shade of blue? He looks so handsome.” He thinks he hears Erin softly crying as she quietly says yes. Erin doesn’t think he looks handsome at this minute. She thinks he looks god-awful and dying. And it freaks her out when his arms spastically flail from the effects of the morphine. She realizes her mother loves him more than she can. Erin sees the flailing. Beth sees the baby blues. Beth sees him as he was, the man she still loves, who will soon leave her with the daughter she does not love and the sons who will move as far away from Beth as possible. Erin will remain by her side, and when the time comes, bark at the nurses on Beth’s behalf. But who will do this for Erin? He is suddenly too tired to contemplate this further. For now, he needs to close his eyes and get some rest. He will think about it tomorrow. Their voices fade, he feels the heaviness of the sheet touching his bones, he tries not to shift at all so it won’t hurt. It feels like fire when the cotton whisks against his skin. He is still. They are gone.